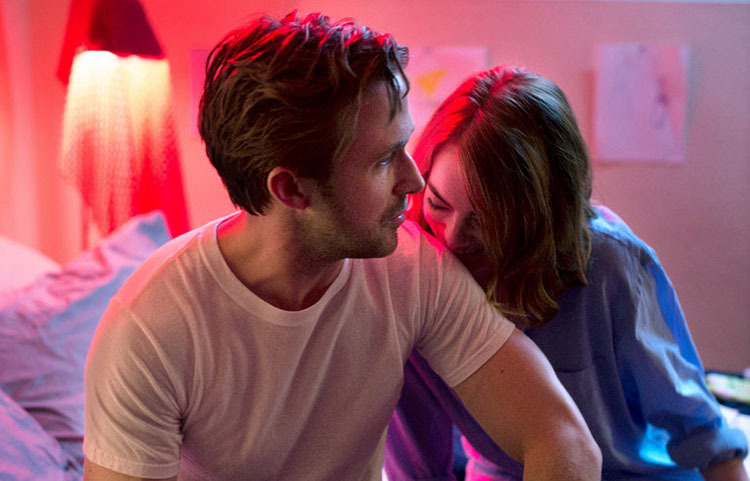 The "La La Land" with Emma Stone and Ryan Gosling got the major film award of the year. 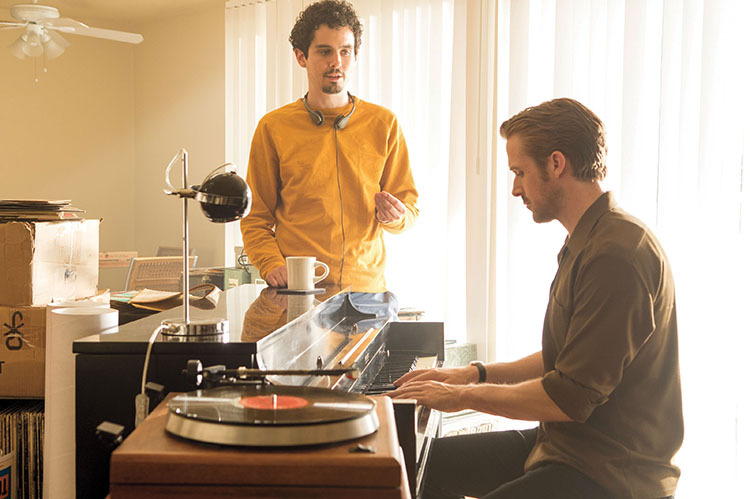 Director Damien Chazelle had been developing the idea of ​​the script and the visual embodiment of the beautiful stories about compromise for 5 years. It is said enough already on how much the film stylistic throwbacks to classic musicals. Today we decided to sort out who and what we owe rich interiors of movie apartments. The team working on the selection of locations for filming, headed by the famous Hollywood couple - production designer David Wasco and decorator Sandy Reynolds-Wasco. They were the authors of the legendary interiors of "The Royal Tenenbaums" and "Pulp Fiction." 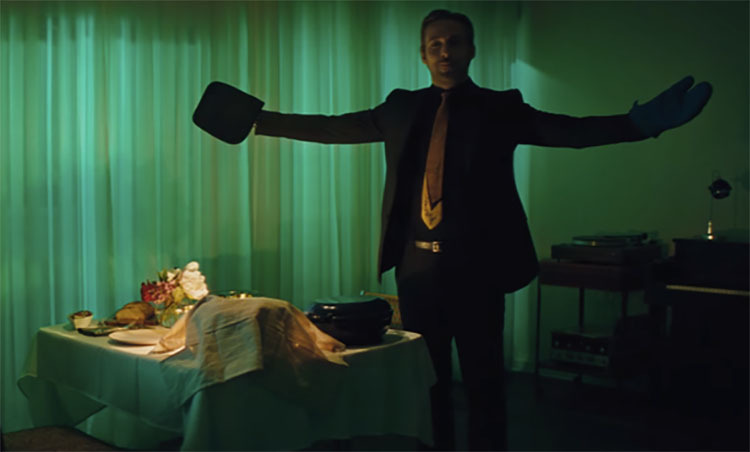 The reference design chosen by Chazelle featured scenes from iconic paintings included in the history of cinema - "The Umbrellas of Cherbourg", "Singing in the Rain" - every week the director arranged screenings for all participants in the shooting process, in order to clearly show them what should be the final version of "La La Land". The first quarter of the film introduces us the main characters of stories - Mia and Sebastian. Their characters are clearly expressed in environment of apartments. In the case of Mia it is bright apartments, which red, pink, yellow and blue colors dominated. Ideal apartment for four aspiring actress, full of dreams and hopes. 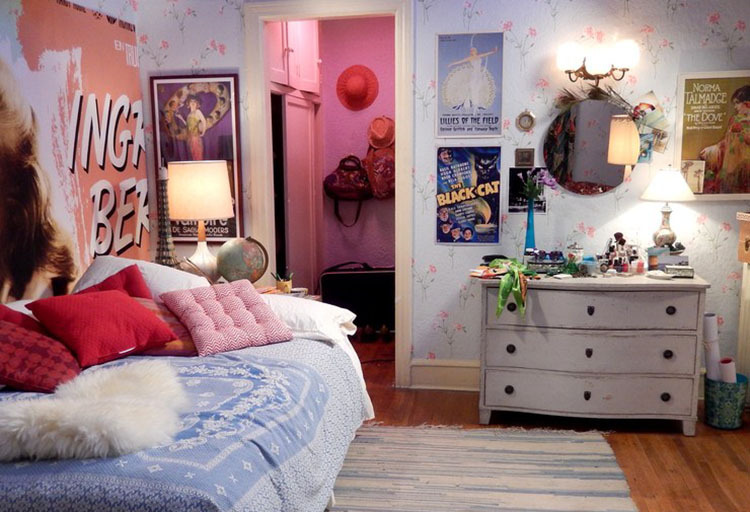 Naivety of Mia emphasized in catchy, almost children interior details - the bed in which she dreams of a brilliant acting career, stands next to a wall decorated with a huge poster with the image of Ingrid Bergman. In the tiny, nostalgic Sebastian's apartment traced depression and creative frustration of its inhabitants. White walls and boring furniture revives a classical piano. Sebastian's house literally comes to life with the advent of Mia - it glows with neon and pastel shades of happiness in subtle details. "La La Land" has many advantages that make a perfect film with visual and semantic point of view. This picture will be surely source of inspiration for many artists and dreamers.